On May 7th at approximately 3:52 PM the Absecon Police Department responded to a serious motor vehicle accident involving a motorcycle and an automobile. The accident occurred on New Road (Rt 9) near the Absecon Laundromat. Kenneth Oglesby, 42, of Hamilton Township was traveling south on New Road on his motorcycle when a Toyota Avalon, operated by Rajendra Patel, 57, of Absecon, was heading North on New Road and was attempting to make a left turn into the parking lot of the Absecon Laundromat. 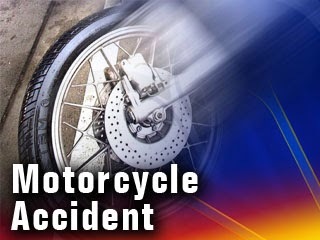 The vehicles collided on the roadway and Oglesby was thrown from his motorcycle. Oglesby was seriously injured and was transported to Atlanticare Regional Medical Facility, City Campus trauma unit by Absecon Emergency Medical Services. His condition was unknown at the time of this release. Patel and his passenger were uninjured. The accident caused New Road between Holy Spirit High School and Ohio Avenue to be shut down for approximately one and a half hours. The accident investigation is ongoing and no complaints have been filed at this time. Ptl. Christian Cavileer is investigating the accident. Anyone who may have witnessed this accident or have additional information is asked to contact the Absecon Police Department at (609) 641-0667. Omg. I didn't know. Praying for his healing in Jesus name. Prayingvfor Dru and you.